OpKey allows you to collaboratively automate testing of web, mobile, Salesforce, Oracle EBS, and many more applications from single cloud platform. Automate complex enterprise web applications with minimal effort using our Smart Recorder and zero code scripting. Execute tests locally or across over 50 OS-browsers on cloud. 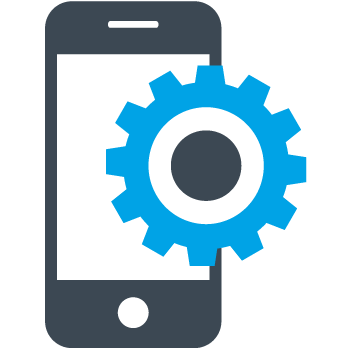 OpKey supports Android and iOS application automation. Use our Smart Mobile Recorder and 200+ mobile keywords to drive test execution on 500+ real mobile devices pCloudy. 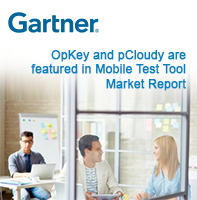 OpKey is the first cloud platform supporting Oracle EBS test automation. OpKey helps accelerate Oracle patches and upgrades testing by 300% with business process testing. Test your REST/SOAP services with OpKey. Seamlessly integrate web services testing with functional tests scripts for comprehensive end-to-end testing. OpKey supports automation of Workday security configurations, HCM business processes, and external integrations. OpKey simplifies automation testing of Workday patches and upgrades. Major pharma enterprise based in the United States adopts OpKey as their test automation solution for over 10 Scrum teams. Having automated their compliance testing using OpKey and implemented In-sprint test automation successfully, they are saving 40% of their Testing budgets. OpKey and pCloudy allow a large European telco undergoing major digital transformation to release more frequent updates to its mobile apps (From 15 days to 3 days) by automating 400+ mobile tests and continuous testing on real mobile devices across 3 key geographies. OpKey has helped Sparta Systems transform our test and regulatory based validation strategy enabling us to bring products to market faster and with higher quality. It was important for us to form an inclusive test automation program that would allow our functional testers to participate equally in test automation. With OpKey we found the right platform to achieve it. Sign up to see how Opkey can work for you. It’s free!